The tribe has been a fixture at the Capitol in past sessions, lobbying for the expansion of Texas gaming on Native American lands. Femath said she supports the tribe’s efforts, but its main casino, Speaking Rock in south El Paso county's lower valley, isn’t in the district she hopes to represent. Instead, Femath said she thinks the Tigua leadership is more interested this year in simply having one of their own at the state Capitol. González said Wednesday she wasn’t worried about Femath's financial backing. She said she’s running on her record and her seniority, which have afforded her appointments to the House Public Education and Appropriations committees and allowed her to serve as vice chairwoman of the Agriculture and Livestock committee. Since August, González's campaign has raised $129,967, compared to the $113,321 Femath has raised since she entered the race in the fall, nearly 90 percent of it from the Tiguas, according to reports filed with the Texas Ethics Commission. González said her campaign hasn’t done any polling in the district. She said it wouldn't have made a difference in how she ran her campaign, regardless of how much money Femath has raised. "I think at the end of the day, identity politics can only go so far. The best person should represent the district," she said. "I’ve worked really hard the last five years for my district." Femath's success would also mean the El Paso delegation would take a hit in overall seniority. 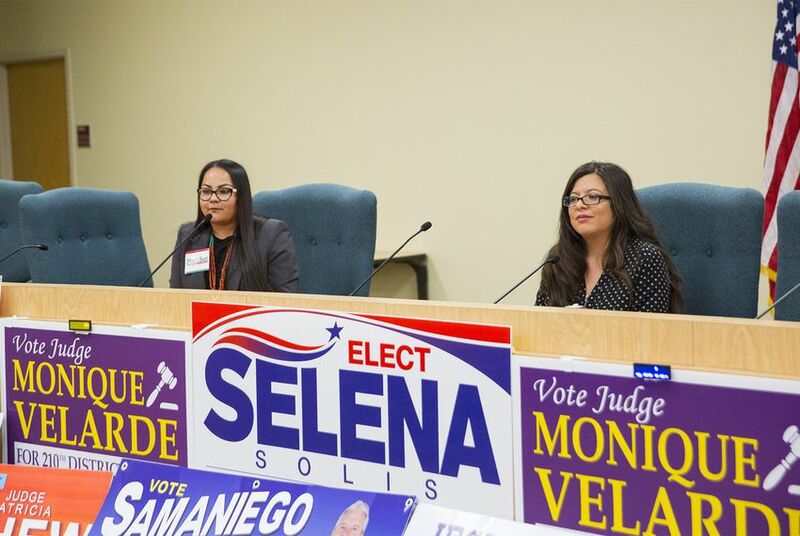 González has served longer than her colleagues Cesár Blanco and Lina Ortega, who are unopposed in their Democratic primaries for their third and second terms, respectively. And she’s just one two-year term shy of the city’s West side representative, Joe Moody, who is also unopposed in his primary but faces a Republican challenger. “I think Democrats will have a seat at the table, and I am going to know a lot of the players,” she said. “And I have Republican friends, so I do get to be part of the conversation."